On Thursday 24th October 2013, local residents joned the staff team and volunteers at Wolfe Road Healthy Living Centre to celebrate the exciting news that Foxhill Forum had been awarded £338,870 from the Big Lottery Fund’s Reaching Communities Buildings Programme to refurbish and upgrade the Healthy Living Centre. 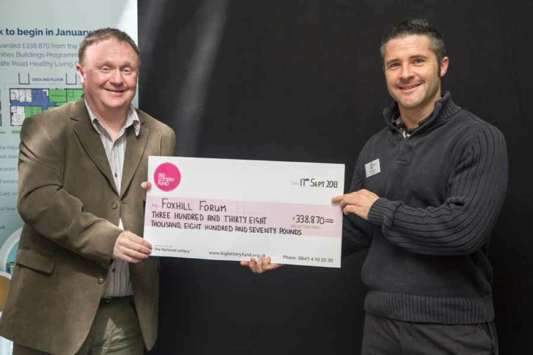 Matt Rowe from the Big Lottery Fund presented Mark Wilde, Chief Executive at Foxhill Forum with the BIG cheque, and local people were able to see the plans for the Centre, and were able to get in-volved in the ideas for colour schemes, furniture and equipment for the project. 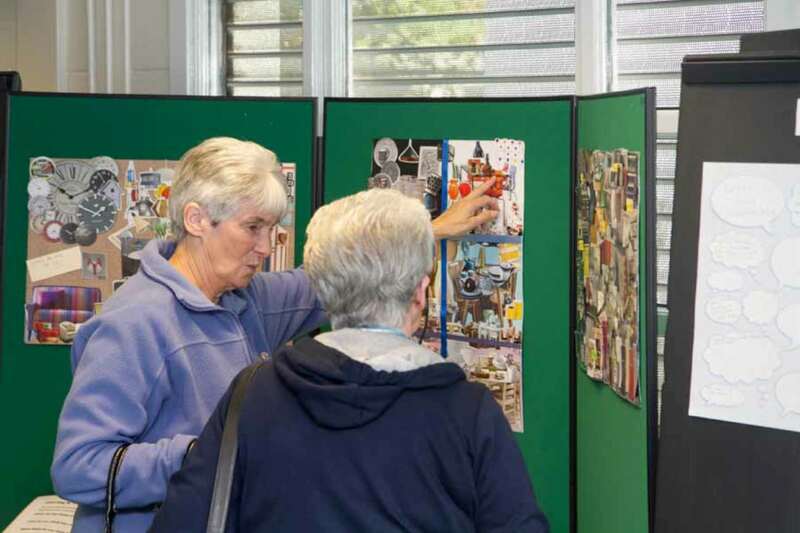 Local residents discussing ideas and options for colour schemes, furniture and equipment that could be purchased as part of the in-volve project. 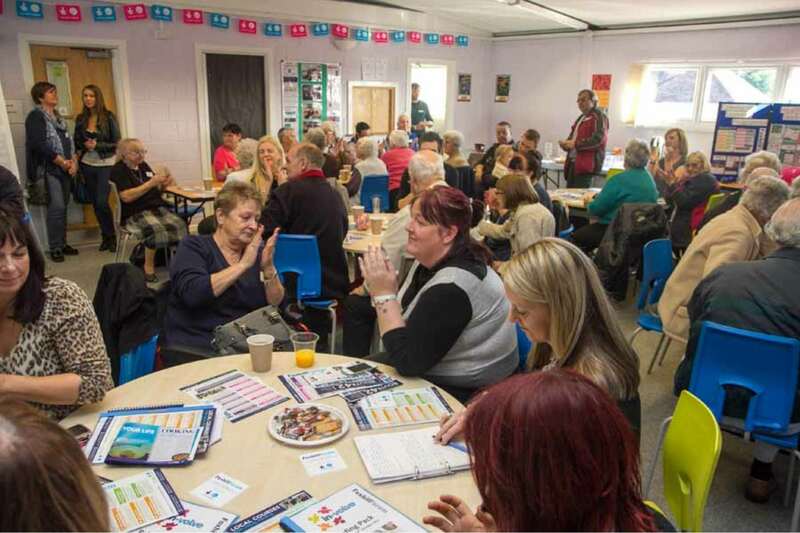 Local residents, stakeholders and volunteers attending the open day to find out more about the in-volve project. 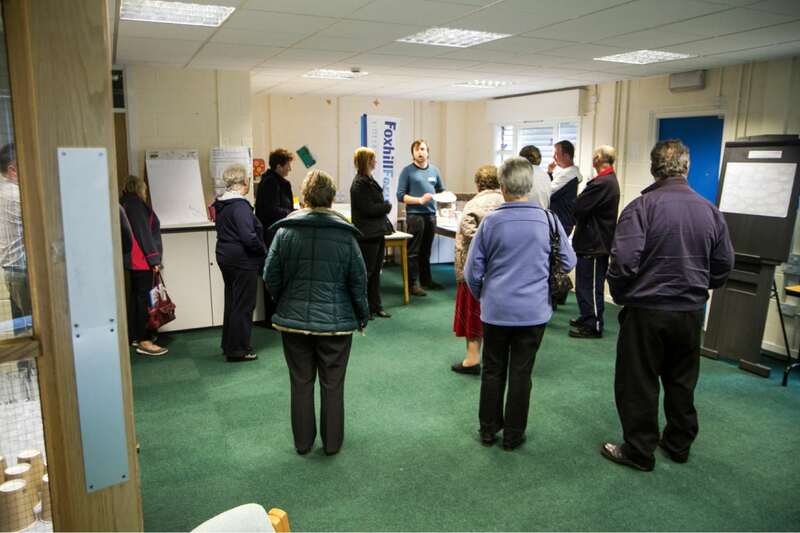 Andrew Flockton, Programme Manager talking to local residents and stakeholders about the key features of the in-volve project including the use of Vegware in the healthy eating café, which is made from 100% compostable materials. Mark Wilde, Chief Executive receiving the cheque for £338,870 from Matt Rowe from the Big Lottery Fund.